Stephanie Smith is the Finds Liaison Officer for Sussex, and is based at Barbican House. 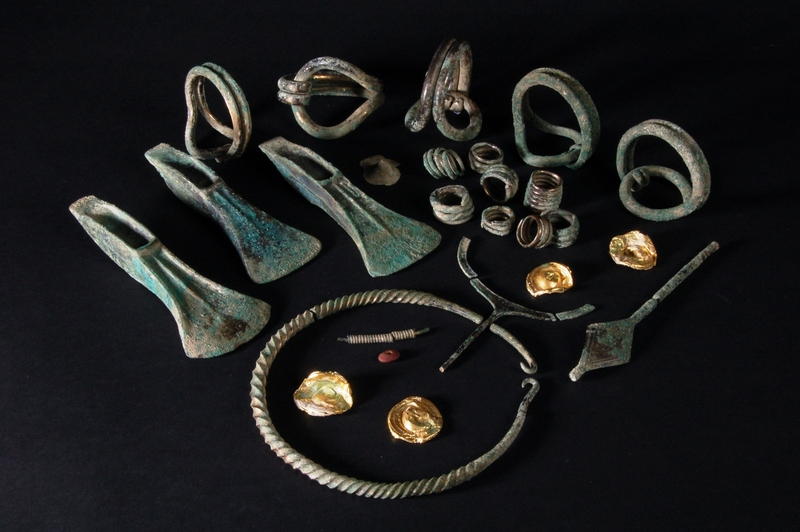 The role involves liaison with local archaeologists and metal detectorists to ensure that discoveries made are as fully recorded as possible, to enable a full picture of historic activity to be recovered. Stephanie covers the whole of Sussex, but in her talk she will focus on recent discoveries made in Lewes and its surrounding parishes. Her talk will be illustrated by examples of the finds made in our area, and she will be bringing with her some examples of the discoveries made by local metal detectorists. 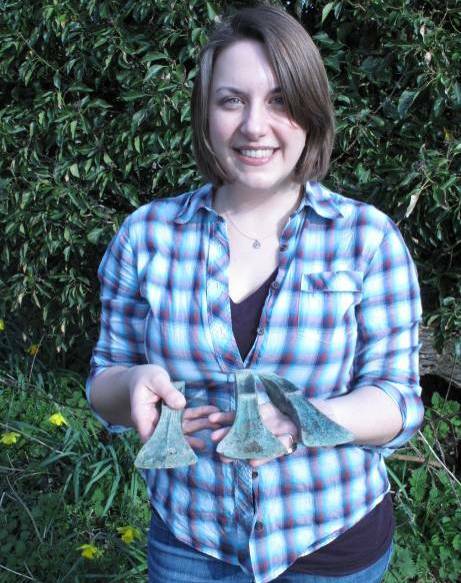 Stephanie Smith is shown with three palstaves from the Middle Bronze Age hoard found in 2011 “near Lewes” and the hoard itself. These items are over three thousand years old. Source: The Christian Teacher & Chronicle of Beneficence, Volume 4, pp.59-60 (1838) . An advertisement in the same issue noted that a subscription was being raised to support his widow and family. 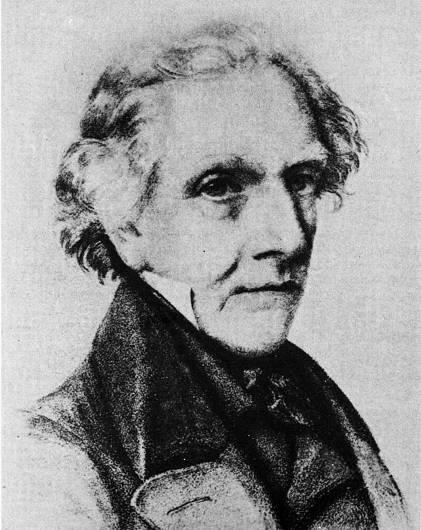 Rev Thomas Walker Horsfield also has the distinction of biographical entries in both the Dictionary of National Biography (written by John Farrant) and in Wikipedia. 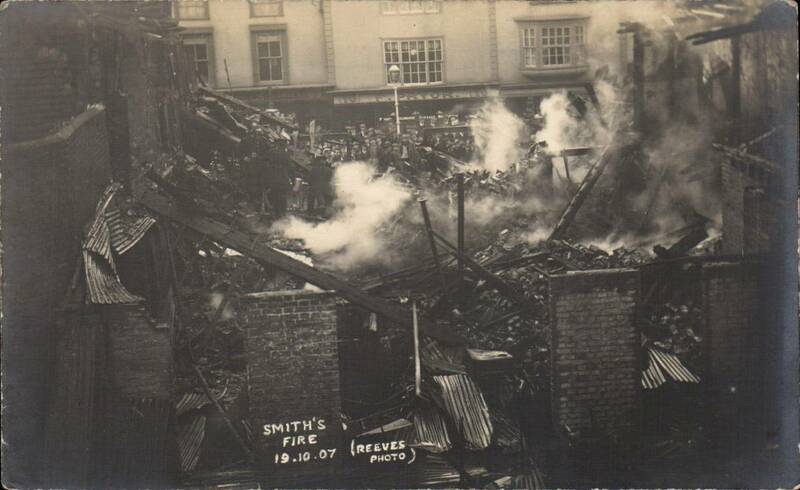 He was the eldest of six children of James Horsfield, a bookkeeper, and his wife Ann Hewett. He married Hannah Waterhouse in 1818. His troubles in Lewes seem to date from the 1826 Lewes Borough election, when he nominated the radical candidate Alexander Donovan to oppose the Tory Sir John Shelley and the Whig Thomas Read Kemp. Donovan was defeated, but this led many to question whether their children could safely be left in the charge of a man of such extreme views. ‘Rev T.W. HORSFIELD: Aug.26. 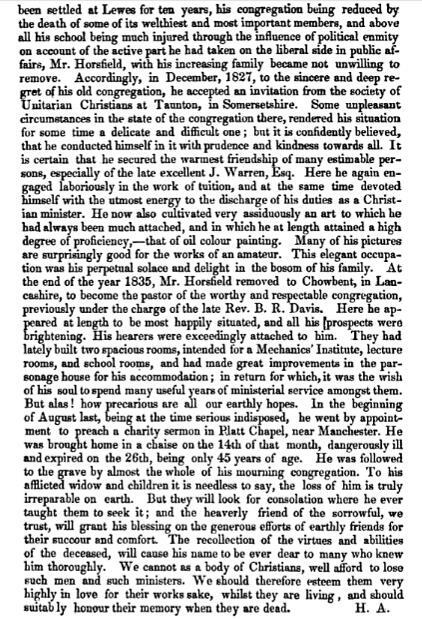 At Crowbent, Lancashire, in the prime of life, the Rev Thomas Walker Horsfield, F.S.A., author of several topographical works. He was formerly a dissenting clergyman at Lewes. In 1824 he published ‘The History and Antiquities of Lewes and its Vicinity’, 4to. This work is written in a popular style, and abounds with sketches of general history, in which the editor occasionally gives vent to his dissenting principles in affairs of church and state; but met with so much encouragement from a numerous list of subscribers that the editor and publisher added in 1827 a second volume, containing a description of the environs of Lewes, a volume which was much indebted (as all Sussex topographies must ever be) to the information amassed in the extensive and valuable Manuscripts of Sir W. Burrell, at the British Museum. 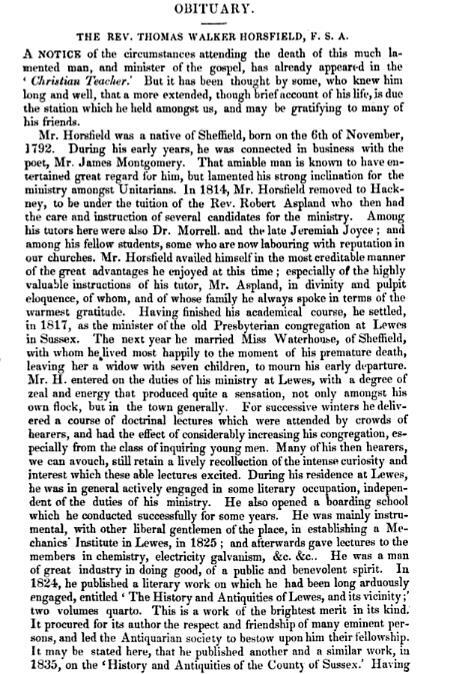 Mr Horsfield afterwards removed from Sussex, but was employed by Mr Baxter as editor of his ‘History, Antiquities and Topography of Sussex’. 2 vols, 4to, 1835. The first volume of this work, consisting of Eastern Sussex, was compiled chiefly from Mr Horsfield’s former publications; with contributions from W. Durrant Cooper, esq, (who beside supplying the Parliamentary History of the County, and the statistical tables, contributed the whole account of Tunbridge Wells and St Leonard’s, and the parishes of Lamberhurst, St Mary Bulverhithe, Guestling, Pett and Icklesham), and other friends of Mr Baxter. The distance of the Editor’s residence from Sussex, prevented his again visiting the county, and all he could do was to make the best use of the materials put into his possession. The compilation of the second volume, containing Western Sussex, was accomplished by an abridgement of the labours of Mr Dallaway and Mr Cartwright, as published in their Histories of the Rapes of Chichester, Arundel and Bramber. This task had been effected in a great measure by Mr Cartwright himself, who announced for publication an abridged History of the three western rapes, and Mr Cartwright’s MS was purchased for the use of the work by Mr Baxter. But the original volumes of Mr Dallaway and Mr Cartwright will ever be the desirable books for the collector. Peter Fellows notes that John Hawkins’ article in Bulletin no.61 suggests that the photograph of the Sheep Fair was taken in about 1938. However the new houses in the background are those on Hawkenbury Way, and he recalls that they were built in around 1950 to house prison officers. He lived on the Nevill estate as a boy and can remember them being built around that time. Ann Holmes adds that planning permission was granted before the war, to the great annoyance of South Way residents who were granted extra bits of garden in 1939 to compensate, but the actual building was delayed. Prison officers are recorded in the 1951-2 local directory. Insight into how the Finnish prisoners of war came to Lewes. The church will be open as part of the Heritage Open Days on 12 September, and on the two following Saturdays,19 & 26 September, from 10am to 5pm. It will also be open on Sundays 13 & 20 September after church services, from 12.15pm onwards. Refreshments available. 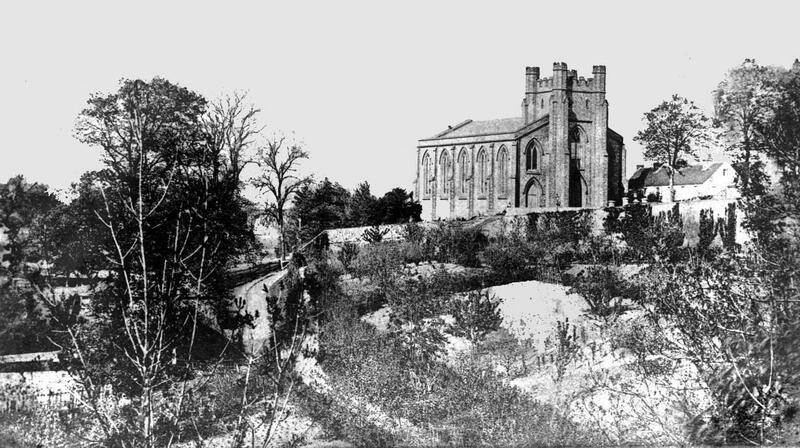 The 1870s photograph below shows the church before the neighbouring houses were built. 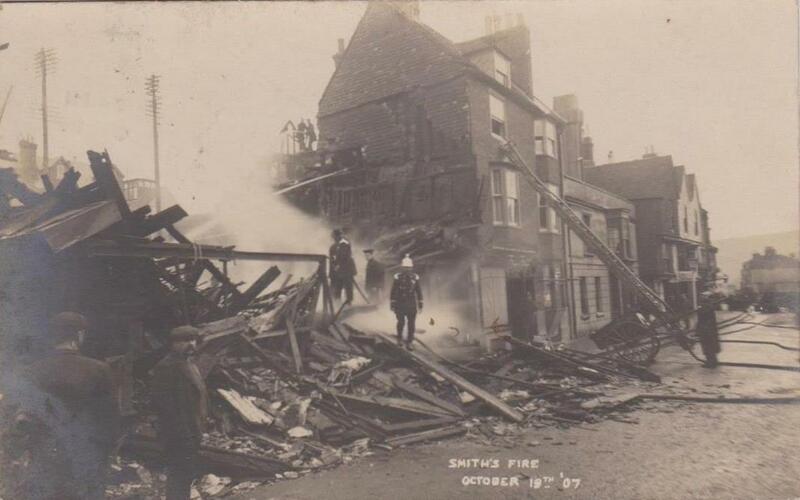 This entry was posted in Antiquities, Ecclesiastical History, Lewes, Local History. Bookmark the permalink.